Non-profit Thrift Stores get so much clothing in donations that they only keep, on average – according to the podcast, 10% of the clothing that is donated to them. The remaining 90% is sold to textile recycling firms at 5-7 cents per pound. Of that 90%, only 15% is bought by the textile recycling industry (used to make recycled products). The Council for Textiles says that they recycle 3.8 million pounds of clothing a year. What happens to the rest? It’s shipped oversees. Some people estimate that America’s #1 export is used clothing. And almost everyone agrees that it’s destroying African economies (see here here and here). And what about all of that new clothing? Americans buy, and then throw away, 70 pounds (or more, depending on your source) of clothing and textiles annually. Some say that textile waste is 5% of landfill waste. Some fabrics, like polyester, can’t be composted and don’t decompose well. The WWF says that 5,200 gallons of water are needed to raise 2.2 pounds of cotton – about the amount needed for one pair of adult jeans. I mean, Goodwill is a good non-profit organization, doing good things. As is SVDP. And I’m a big fan of buying beautiful new things for my kids (and myself, let’s not lie). I’m not suggesting that we stop buying things at thrift stores, or even making donations, necessarily. It’s about being smart about HOW MUCH we do it – and where we buy what we need. 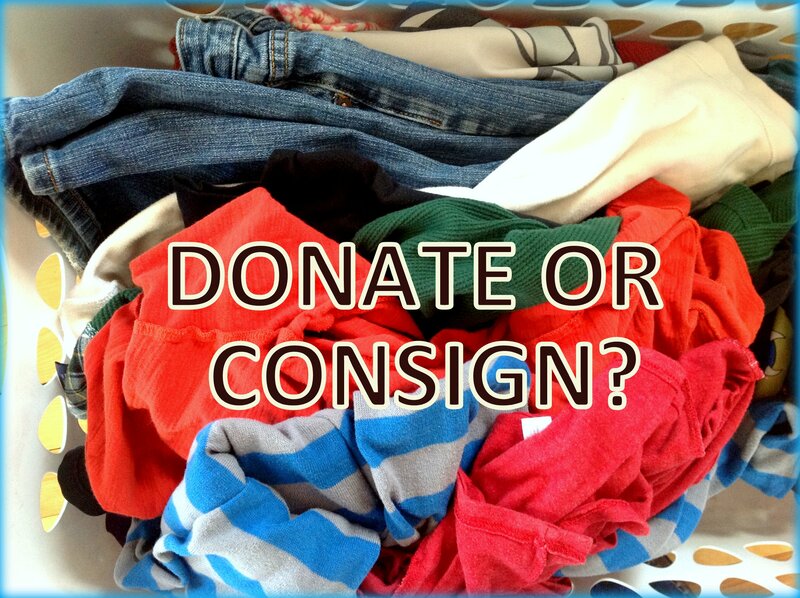 The podcast host suggests that the best thing you can do is to share clothing in your community as much as possible, such as at clothing swaps and consignment sales. Want to read more? Check out this great Slate.com article, as well as Elizabeth Cline’s book, “Overdressed: The Shockingly High Cost of Cheap Fashion“.